A meeting of the Vinsath Wargika Karaka Maha Sangha Sabha of the Asgiriya Chapter will be held at the Mangale Uposathagaraya of the Asgiriya Maha Viharaya at 3.00 p.m. on April 7 to elect the 22nd Mahanayake Thera of the Chapter. Member of the Karaka Maha Sangha Sabha Ven. Medagame Dhammenanda said they would try their best to make a unanimous decision on the new Mahanayake Thera without going for an election. At present, Muthuyangane Raja Maha Viharadhipathi Ven. Warakagoda Gnanaratane Thera and Polonnaruwa Solosmasthanadhipathi Ven. 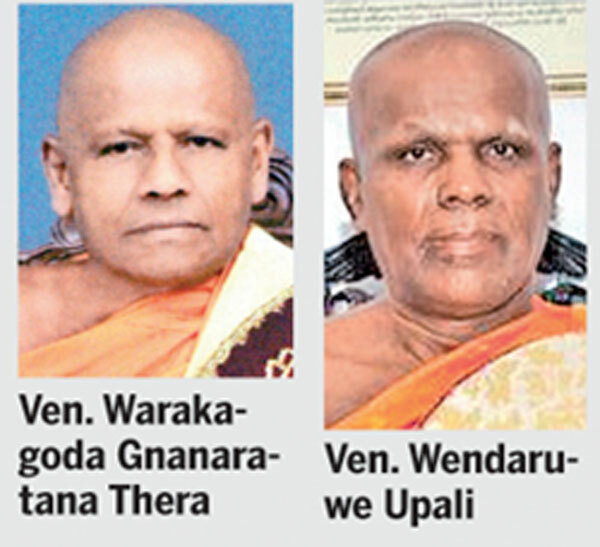 Wendaruwe Upali Thera are the two Anunayake Theras of the Chapter and both of them have announced their decision to stand for election.